UDA Technologies is excited to announce the release of ConstructionOnline Scheduling as part of the growing family of ConstructionOnline Pro Features. With its unmatched speed, flexibility, ease of use and power, ConstructionOnline Scheduling has set the new standard for online project management software. UDA Technologies is excited to announce the release of ConstructionOnline Project Logging as a part of the family of ConstructionOnline Pro Features. New Project Logging for ConstructionOnline makes tracking daily activity and project progress better and easier than ever. UDA Technologies is excited to announce the release of ConstructionOnline Pro Features! With over 100,000 users, ConstructionOnline is the industry's top online construction management software. The addition of Pro Features expands on the existing functionality of ConstructionOnline and elevates it to the next level of organization and project management solutions. UDA Technologies is excited to announce the releases of ConstructionOnline Calendars and To Dos as part of the growing family of ConstructionOnline Pro Features. Your business is too important to run on sticky notes and flimsy desk calendars. Now between the new centralized Calendar and detailed To Dos, ConstructionOnline has become the best resource to keep track of your busy schedule. 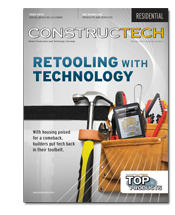 UDA Technologies is excited to announce that 5 OnSite Mobile Apps are featured in Constructech Magazine's 2013 Catalog of Top Construction Apps.